Tracing the path of the Colorado River, water tells the story of the American Southwest. Ben Barron gives it it’s song. The Colorado River has carved a deep imprint on both the physical landscape of the American Southwest, and on the people who live near its waters. Musician Ben Barron of the Infamous Flapjack Affair will discuss the trip he and his bandmates took to traverse this endangered river system, and to write music inspired by the people who rely on it, captured in their award-winning film Confluence. Join him for behind-the-scenes storytelling, live music, film excerpts, and a discussion of the places that shape us and the joys and challenges of making music with a purpose. 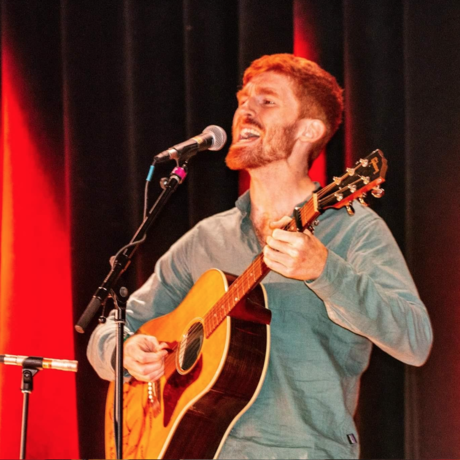 Ben Barron is a musician, film producer, and environmental activist based in Boulder, Colorado. Although his work ranges widely — from studying community-based theater productions in Central Appalachia to leading outdoor education courses in Chile to composing music inspired by the people and places of the Colorado River Basin — it always comes back to people and place. Ben will begin pursuing a PhD in Geography at the University of Colorado in August 2019.